All items sold AS IS, WHERE IS. No guarantees made on any items. Item descriptions and photos are for identification, you are strongly encouraged to preview items before bidding. Auctioneer reserves the right to refuse bids from anyone for any reason. 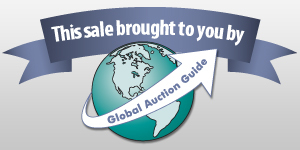 If you are the high bidder when the online auction closes, the item belongs to you. You are responsible for it, and the auction company will not be held liable for it for any reason. If you have not paid your invoice by the stated deadline, the auction company will charge your credit card on file, and your items will be placed outside. Failure to pay will result in losing all bidding privileges. When the auction starts to close, "accidental" over bids cannot be changed. By registering and bidding you agree to these terms.If you need an auctioneer for your fund raiser, to liquidate your assets, or have items to sell, contact Clay at 214-325-4430. Announcement:Information contained herein is presented on behalf of the seller. Clay Potter Auction Group, agent for the seller, cannot guarantee the information to be correct or assume the liabilities for errors and omissions. All lines drawn on maps are approximate. Buyers should verify the information to their own satisfaction. Any announcements made from the auction block on day of auction will take precedence over any matter of print and will be final.